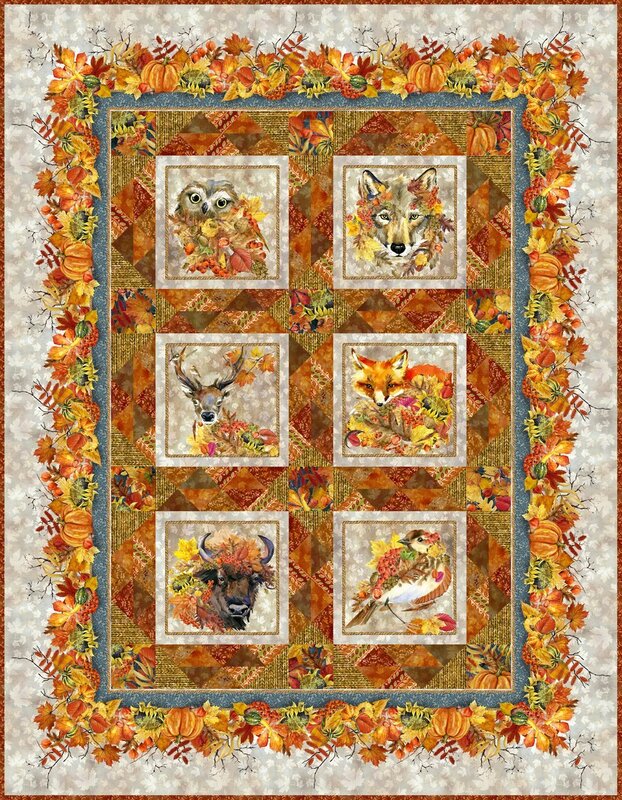 The Our Autumn Friends Quilt Kit features a beautiful panel of animals with rich autumn colors and prints throughout. The Our Autumn Friends Quilt Kit includes the pattern and the fabrics for the top and binding. The finished quilt measures 55" x 71".